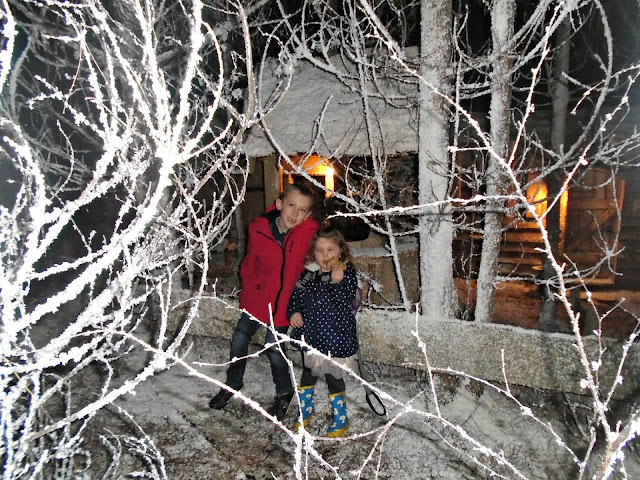 A Magical Christmas Experience at LaplandUK. 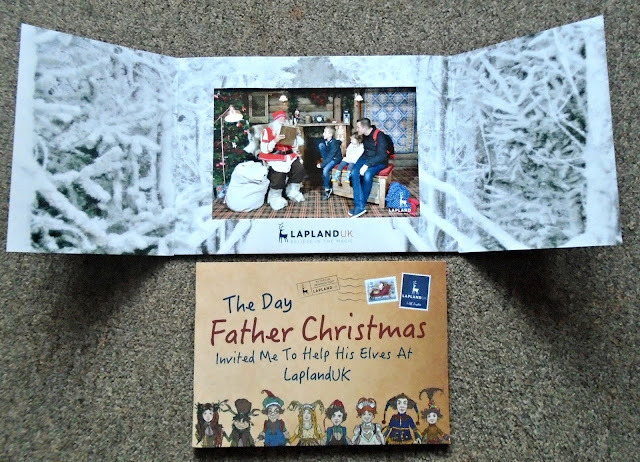 When the email landed in my inbox to tell me we had been invited along to review a day out at Lapland UK I could barely contain my excitement! I rang my husband and definitely struggled keeping it a secret from the kids. If you haven't heard of LaplandUK its an immersive family theatrical experience that replicates Father Christmas' arctic homeland of Lapland. 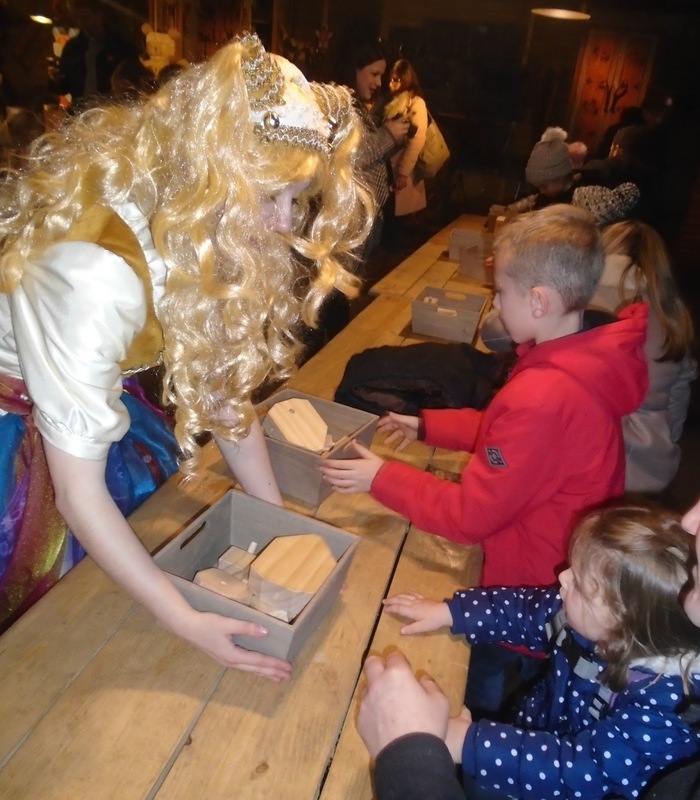 Your visit will take you on a magical journey through a magical winter wonderland accompanied by elves as you help them out with jobs such as toy making and gingerbread decorating. 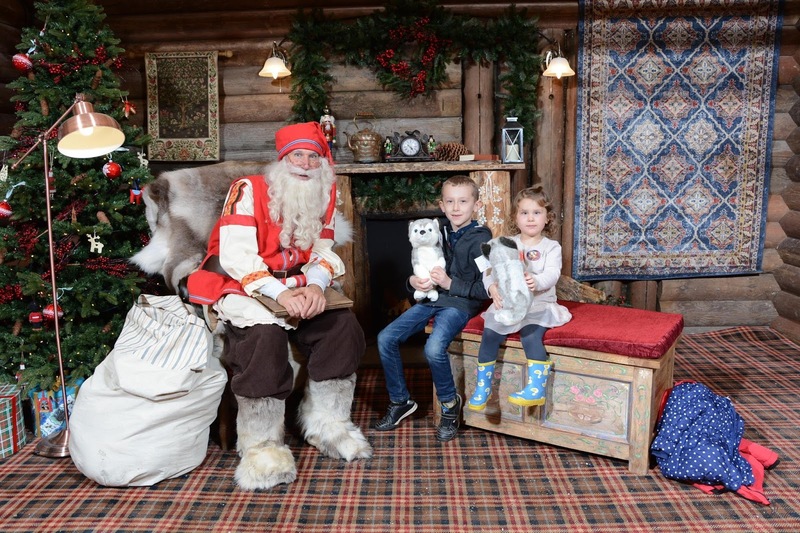 Of course your trip wouldn't be complete without meeting Father Christmas who provides a personal meeting with your child complete with a beautiful present to take home. 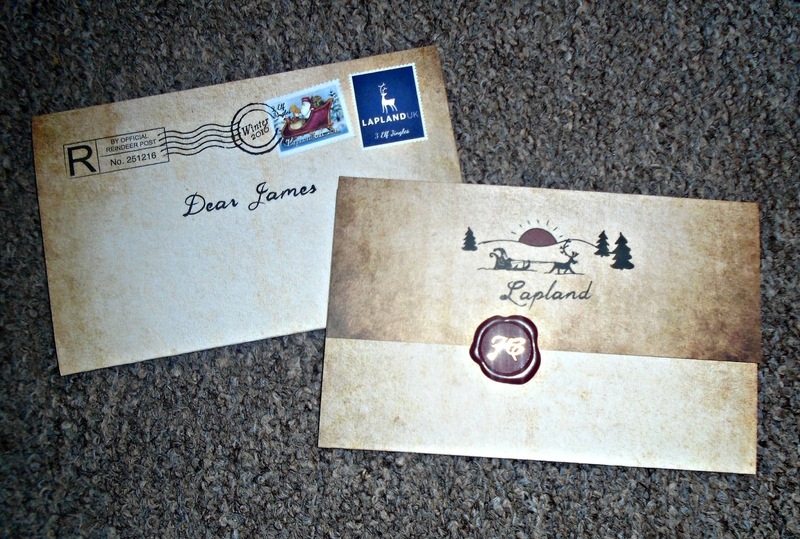 As part of the experience each child will receive a personalised invitation inviting them to LaplandUK which will be sent discretely along with your confirmation. You can choose when to give these to your child since their is no date on them, we chose the evening before so they would be all excited to go the next day! When you arrive at LaplandUK you are helpfully directed where to park and your experience begins as soon as you step out of the car! Following the paths sign posted as the "Enchanted Forest" we stumbled upon a beautiful lantern lit pathway leading to our check in point. Each child is given a passport at check in. You will need to keep these safe as your child will be given a stamp for each activity they do as they move around LaplandUK. Here is where your journey to discover the real Christmas magic begins. Stepping inside is like being transported straight to a storybook version of Lapland with everyone from the people at the check in to the people in the cafe fully dressed as elves. Despite there being a lot of people we checked in with little waiting or fuss and the elves dotted around helped keep little ones happy and entertained whilst we awaited the elf to show us where to go. After a brief performance from some elves, telling us all about where elves come from and the children's job in LaplandUK we were led through the doors! 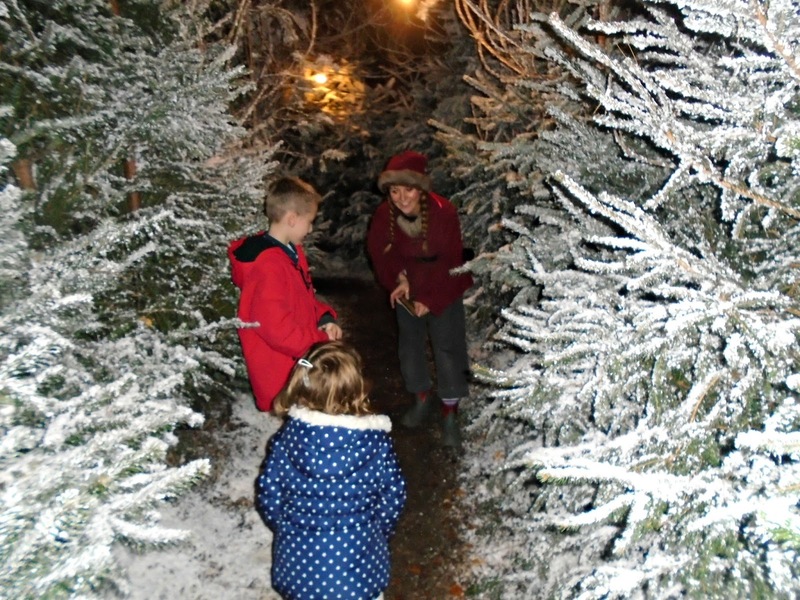 Then came the Narnia moment when the elves opened the big double doors to reveal a stunning snow covered woodland and pathways and we were led through here to our first activity.. helping the elves makes toys, the kids eyes were full of wonder and excitement. Here children will get to help the elves make 2 different types of toys whilst here all about what the toy making elves do to help Father Christmas all year. James was fascinated by this and loved helping make the toys. Our next Activity was helping Mother Christmas make gingerbread. As you walk through the snow covered woodland walkways you are totally swept up in the Christmas magic. Each of the activities are held in beautifully wooden buildings peeking out through the trees ready for the excited children to discover. Making the gingerbread was lots of fun and you are even provided with aprons to keep clean and bags to take the gingerbread home in. This part of your adventure is finished off with a lovely story from Mother Christmas which all of the children listened to intently (even most of the grown ups too!). 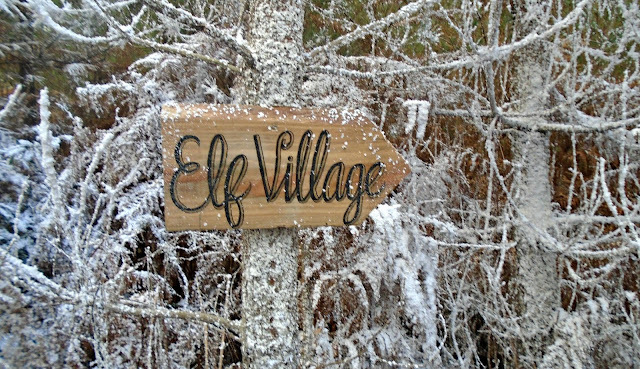 After our activities were over we were given 90 minutes to explore the magical elf village and all it had to offer. Stepping inside the elf village was an experience none of us will ever forget, the Christmas tunes playing in the background and the huge ice rink surrounded by quaint wooden elf buildings really set a magical scene. 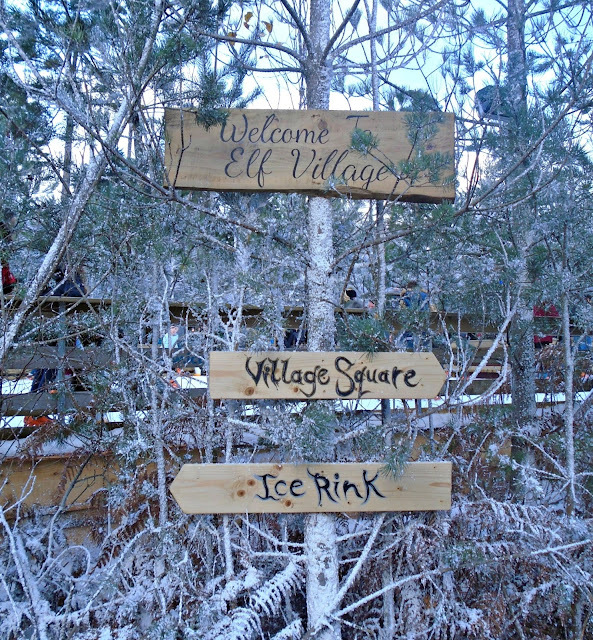 The ice skating is included in the price, as was everything except for food, drink and any extra gifts you want to purchase from the gift shop or elf stores. 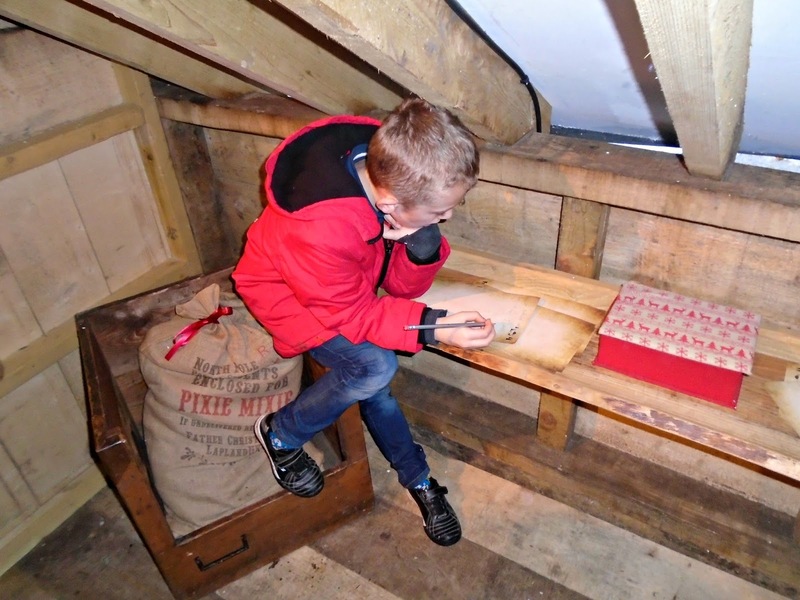 We also explored the building surround the ice skating with our first stop being the post office to write our letters to Father Christmas. I thought this was such a lovely touch and the kids loved it too. 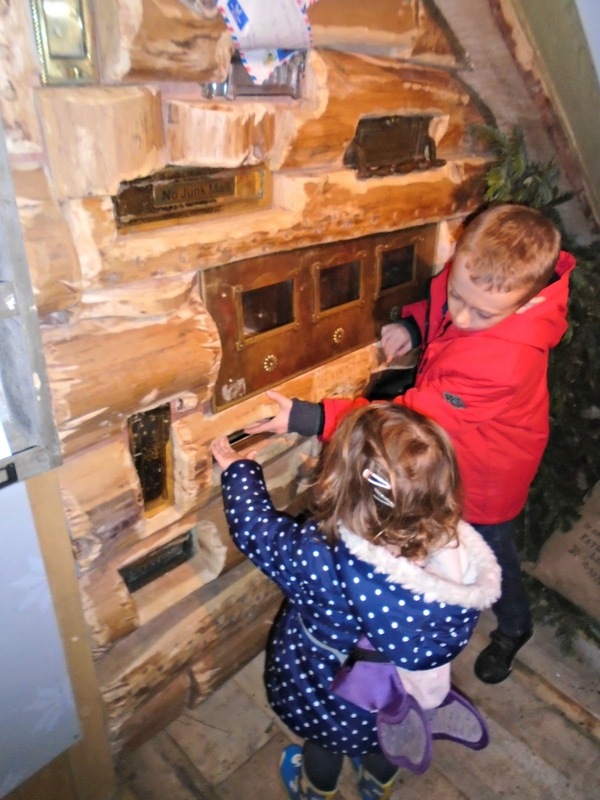 After writing them an elf sealed the kids letters with a wax seal and led them to the wall of letter boxes where they chose a letter box to post their letter in. We also paid a visit to Pixie Mixie's sweet shop where James purchased a lollipop the size of his head for just 2 jingles! 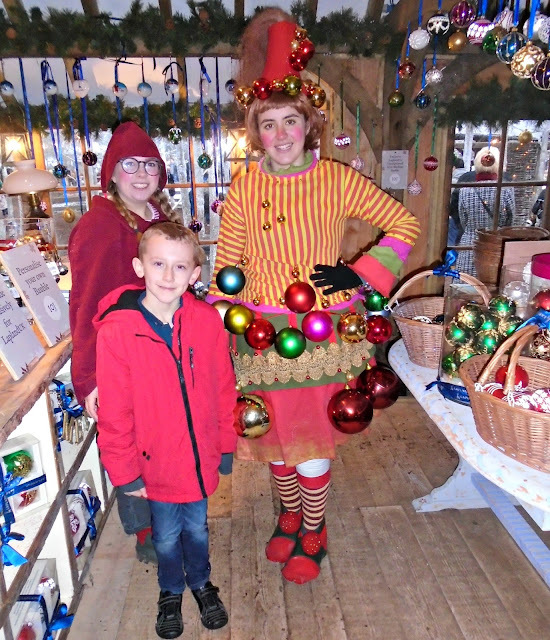 We also stopped off at Bauble's Bauble shop to admire all the beautiful decorations on offer and meet Bauble herself. There was a elf emporium packed full of beautiful toys and gifts perfect for grabbing some Christmas gifts if one of you can keep the kids occupied outside! Whilst you are in LaplandUK you don't use your "normal" money and must use the elf currency of Jingles! You can either order these when you book online or like us pick them up on the day. You can still your your debit card though if you don't wish to change any money up but we did find the kids loved paying in Jingles and really getting in to the spirit of being in the elf village. You can cash up any left over Jingles when you leave. 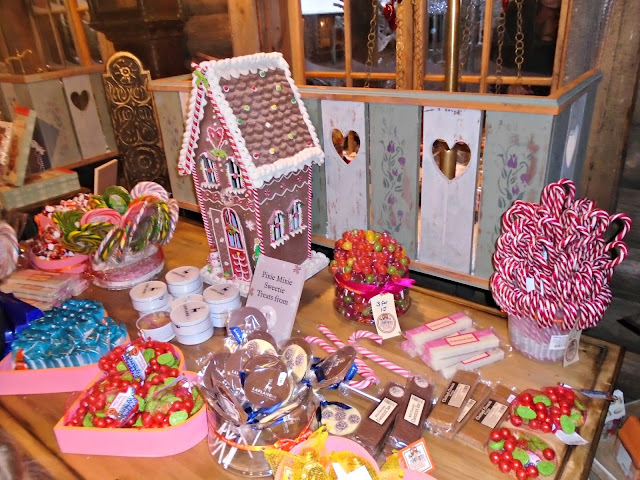 Here are some more pictures of our magical day at LaplandUK! 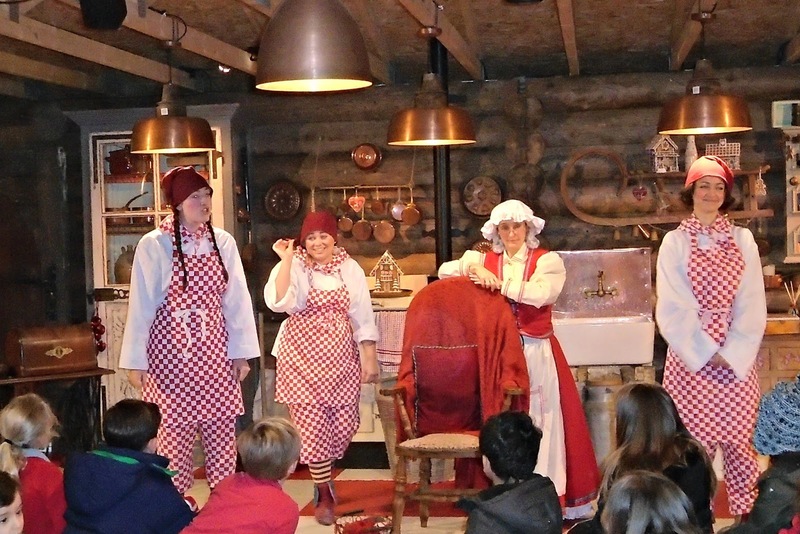 Your day at LaplandUK culminates in a very special visit to Father Christmas. After another check in point an elf comes and takes each family individually along a winding snow covered forest footpath to meet father Christmas. After a small wait outside we were invited in to meet Father Christmas. He greeted the kids with a jolly disposition and knew their names and so much about them (grown ups are sent a form before you arrive to fill our all the important details for Father Christmas!). It didn't feel rushed and he had lots of conversation with the kids before handing them a beautiful husky teddy to bring home. Whilst you are meeting Father Christmas an elf takes photos, your first photo is free and then after that 15 jingles each. You can also purchase a "scrapbook" which includes 2 photos and also some recipes, stories and a place for the kids passports for just 15 jingles. You also get the digital downloads for any photo's you purchase! Its a magical day out that I am certain James will look back on and remember for ever! Its not just a "visit to Father Christmas" you are paying for. Its the experience and everything that LaplandUK has to offer. Its a magical wonderland where even as an adult you feel transported to being a child again. I know that the memories we made at LaplandUK are ones they will treasure forever and I hope that in time when they have their own children, they tell them all about their magical experience meeting Father Christmas at Lapland. Its clear to see from the moment you step inside that so much time, effort and love has gone in to creating LaplandUK. 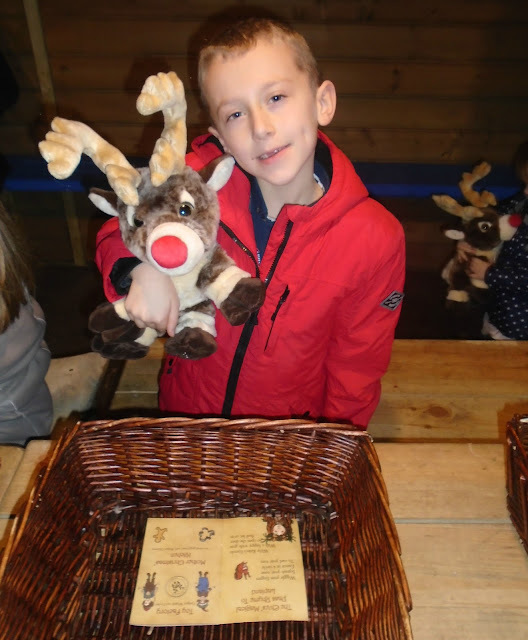 All the staff we encountered were fantastic and it was clear they had a real love and passion for what they were doing and keeping the Christmas magic alive for all the children and grown ups. 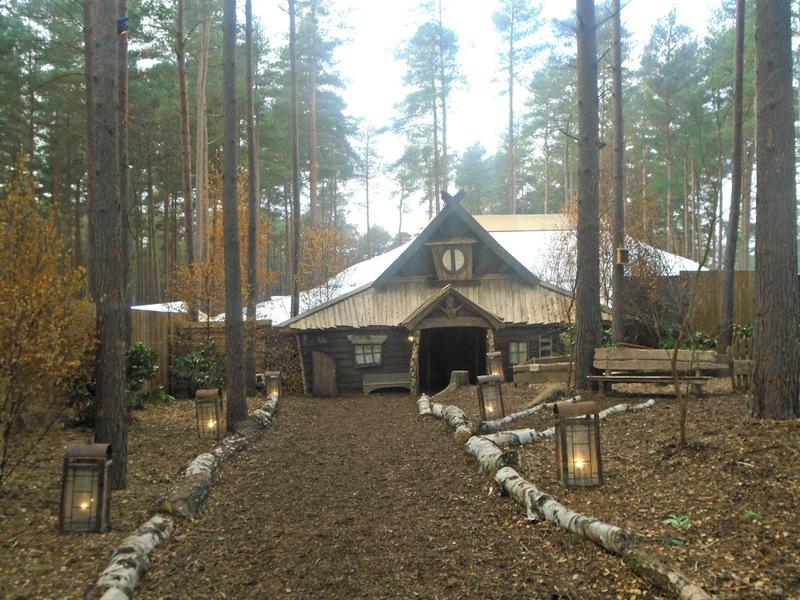 There is no detail LaplandUK have not covered making it a can't beat experience right here in the UK and if you can go then go you definitely will not regret it, its magical! If you want to book tickets to LaplandUK or find out some more information visit the LaplandUK website. We had the most amazing afternoon there too! 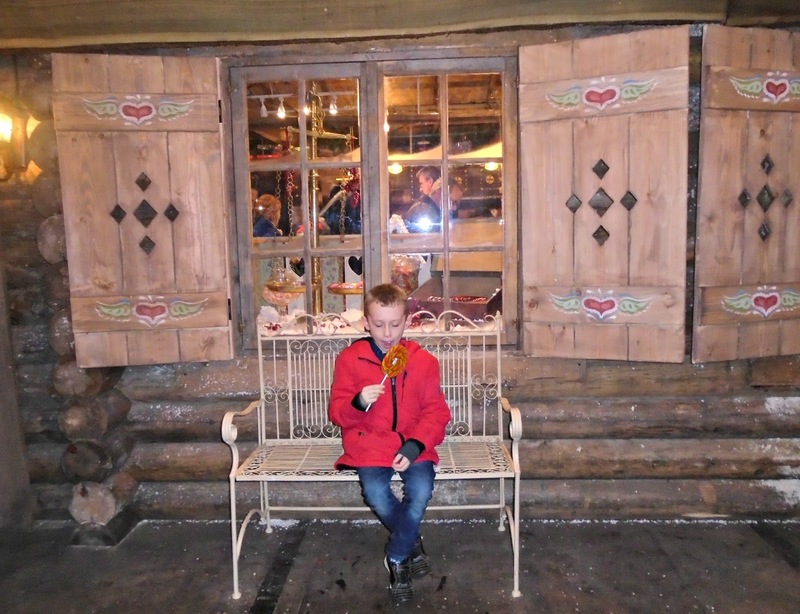 I have been reading a lot about Lapland and would really love to take my nephew. He's now old enough to understand Christmas and Santa too. Woweee! How I would kill for an experience like Lapland UK. It is experiences like this that makes me wish I was still a kid! LaplandUK sounds like a magical day out for children and adults alike. That's such an interesting concept! Looks like so much fun for the kids!